A masterpiece! 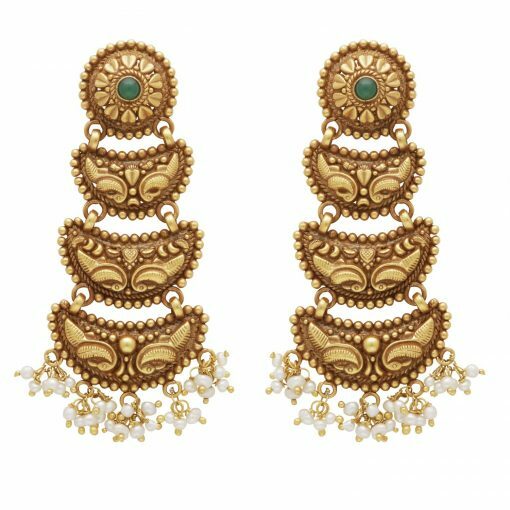 Inspired by the intricate carvings, patterns, drawings and architecture found in ancient temples across in India. 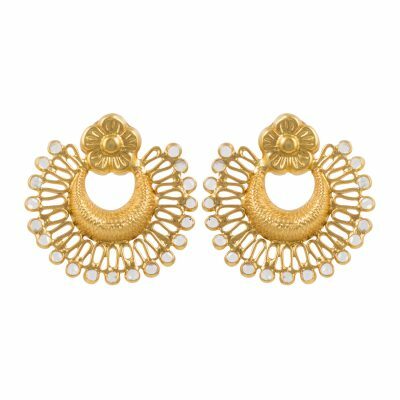 These earrings are meticulously hand crafted, with a lot of attention to detail. 22kt gold plated in an antique finish on silver; with green onyx and pearls. 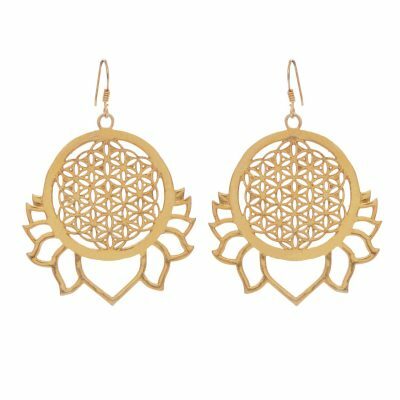 Very light weight for pierced ears; 7 cm in full length. 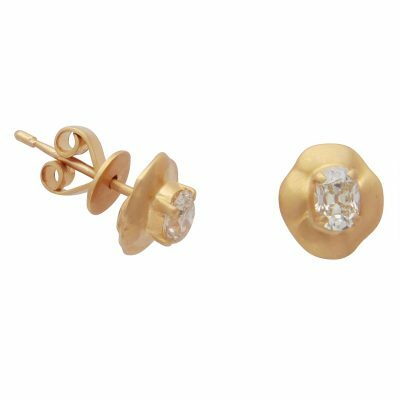 22kt gold plated in an antique finish on silver; very light weight for pierced ears; 7.5cm in full length.